Upcoming competition date: Regional Finals for North and South of England will be held on Saturday 23rd March 2019. The National Final will be held at Competitions Day on Saturday 6th July 2019. Venue: Regional Finals for the North will be held at Retford Oaks School, Retford, Nottinghamshire and the South at Hartpury College, Gloucester. 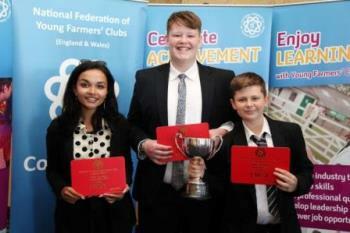 The NFYFC final will be held during National Competitions Day at the Staffordshire County Showground, Staffordshire. The team shall consist of a Chairman, Speaker and Proposer of the Vote of Thanks. The procedure will follow that of a normal YFC Club meeting.